Remember the classic Dr. Seuss book, Green Eggs and Ham? It touted all the different places and different ways to eat green eggs and ham. You can't crochet in quite as many ways or places as you can eat, but it is a surprisingly portable pastime. Since I incorporate crochet into most of my pieces in some way, as Gossamer Tangles has grown, and as I've found myself spending significant chunks of time in waiting rooms this summer, I've learned ways to take my crocheting with me. It's the only way I can get anything done. Plus, I enjoy doing it and it keeps me sane when I have to sit for long periods of time. 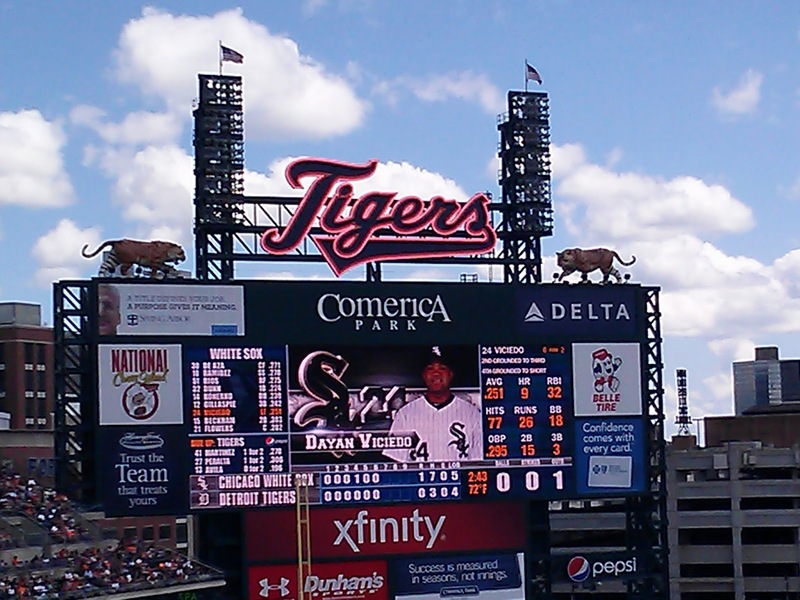 On Sunday we headed out to see the Tigers play the White Sox at Comerica Park in Detroit with my husband's family. 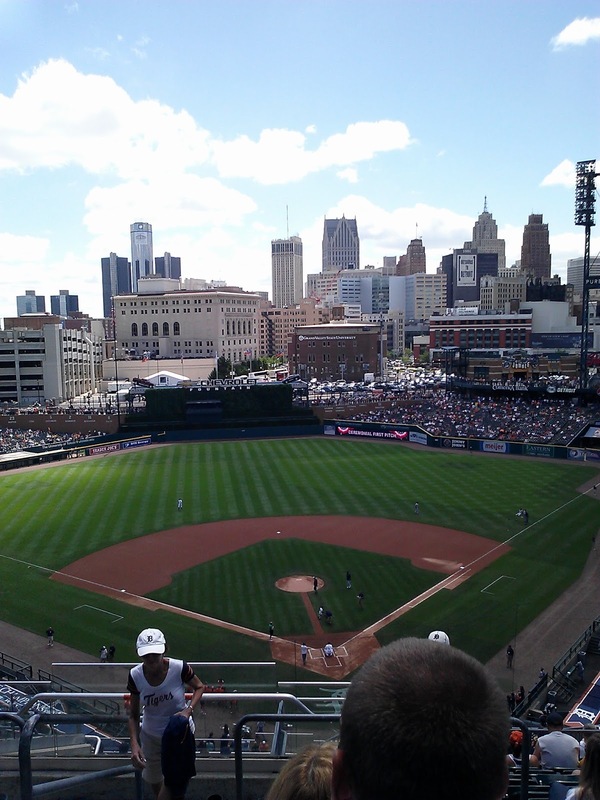 I've gotten to the point where I enjoy baseball and I have become an avid Tigers fan. So, going to the game (unlike sitting in a waiting room) is actually a lot of fun. I was, however, in the middle of working on a crocheted handbag that I'd been trying to make progress on all week, so I decided to take it along. Why not? Turns out a pleasant, sunny afternoon at the ball park is a lovely place to crochet. The views are spectacular. 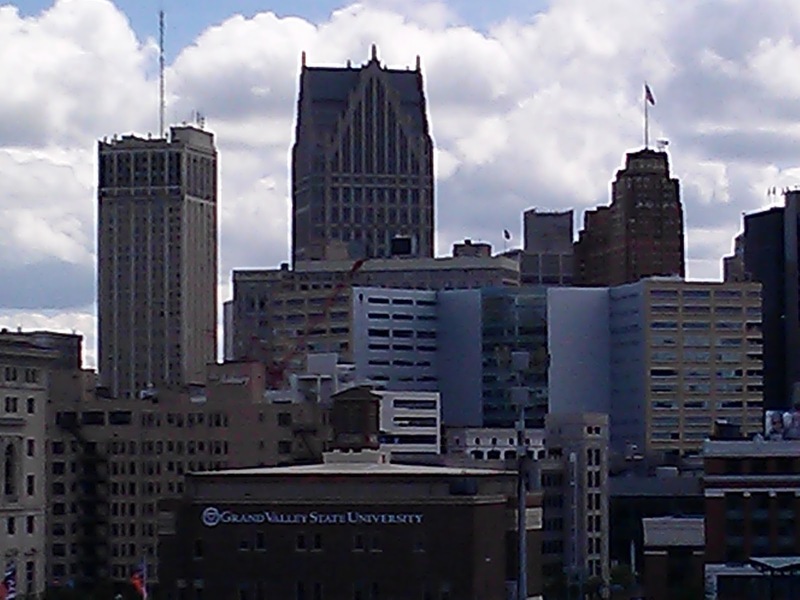 Looking at the Detroit skyline to the southwest from the upper box area, behind home plate. Looking out over the field before the game. 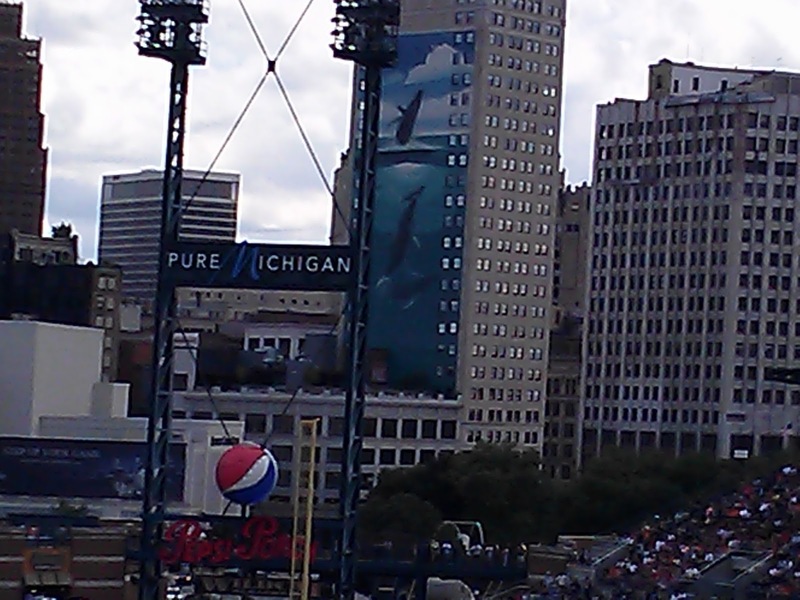 A view of the left outfield, beyond third base. 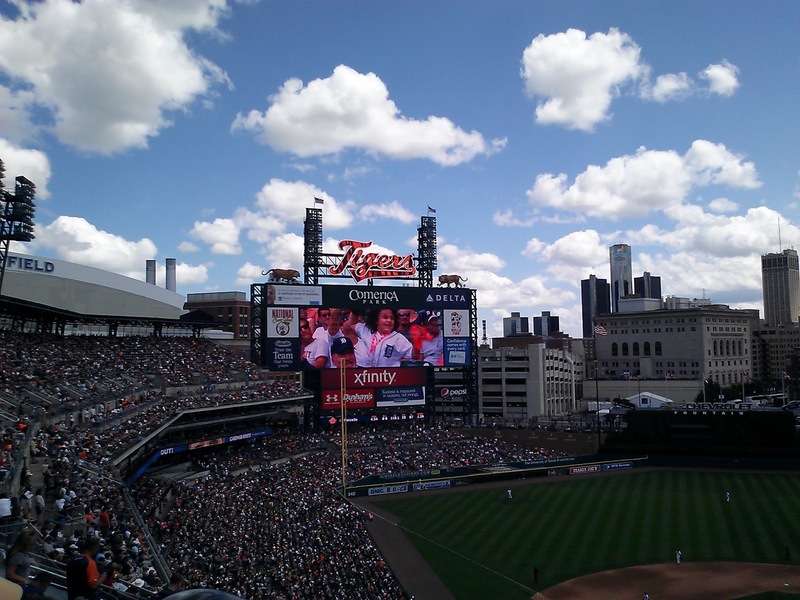 I enjoyed crocheting at the game so much that I am thinking of heading to the Stitch N' Pitch event at Comerica Park on September 15, 2013. Stitch N' Pitch is sponsored by the National Needle Arts Association. It is an evening where knitters, crocheters, embroiderers ... basically, anyone who enjoys needle arts, is invited to bring their work to the ball park and stitch while they watch a baseball game. So, what fun or unusual places have you enjoyed crocheting, or knitting, or whatever needle art you love?